We’d love your help. Let us know what’s wrong with this preview of The Unbeliever by Zachery Miller. Beth thought she’d escaped the cult-like traditions of her childhood home in Drumfort, Illinois. College life has given her what she yearned for; the ways of the world, for knowledge, and the freedom that it brings. No more of that nonsense and ridiculous blind faith that has kept so many trapped back home. But when a strange being disturbs her dreams she returns home to f Beth thought she’d escaped the cult-like traditions of her childhood home in Drumfort, Illinois. College life has given her what she yearned for; the ways of the world, for knowledge, and the freedom that it brings. No more of that nonsense and ridiculous blind faith that has kept so many trapped back home. To ask other readers questions about The Unbeliever, please sign up. Was given an advance copy. I've been knee deep in Norse stuff for a while now. American Gods. Hellblade, and all that stuff. So, when I read this book, I felt like I was revisiting familiar territory, but in a very postmodernist witty way. 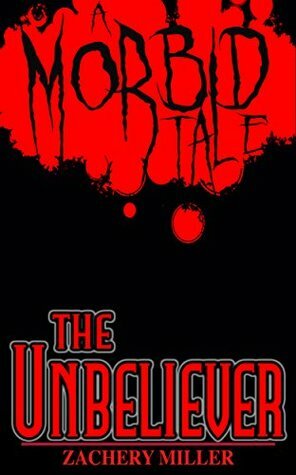 A good dark fantasy, urban horror. Keep up the good work, Mr. Miller. A Nordish religious custom isn't followed but between fear and compliance what unfolds is supernatural and an adventure into horror like no other. I Loved It!!!! A really good read. Enjoyed this from beginning to the end.